Франциско Хосе де Гойя. 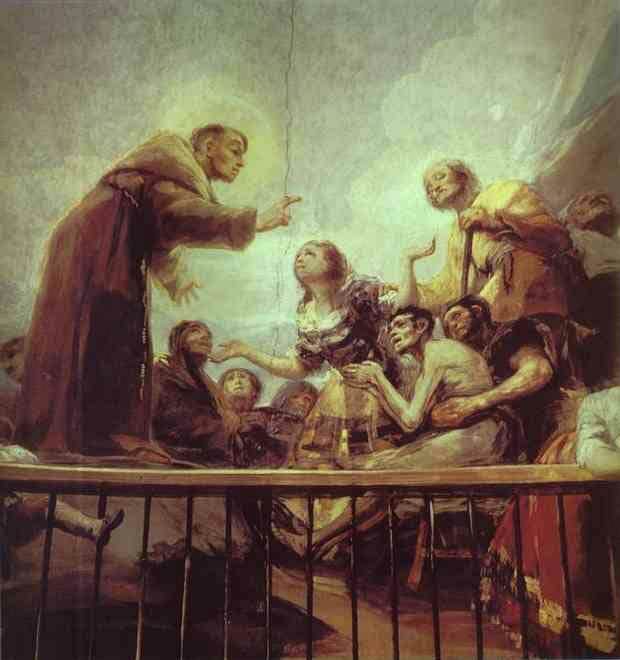 The Miracle of St. Anthony. 1798. Fresco. Detail of the decoration of the cupola of the Church of San Antonio de la Florida, Madrid, Spain. The Miracle of St. Anthony. 1798. Fresco. Detail of the decoration of the cupola of the Church of San Antonio de la Florida, Madrid, Spain.